There is so much to learn from this parable! Today's lesson is a parable that Jesus told the people. A parable is an earthly story with a heavenly meaning. Scripture: Luke 15:11-32 There was a man that had 2 sons. 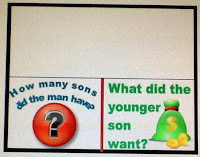 The younger son told his father that he wanted his part of the inheritance. So the father divided what he had, and gave part to the son. BUT, the father told his servants to bring out the best robe and put it on him…put a ring on his hand…and sandals on his feet. He told them to bring the fatted calf and let us eat and be happy! My son was dead and now he is alive! He was lost and now he is found! and then cut the fabric edges to look ragged. I almost always have something on the table for the students to pick up when they come into the class. It can be the project for the lesson, or a take home item that I can work into the lesson. 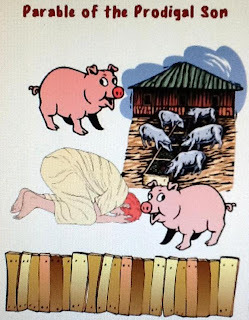 Today, there are pigs and money bags. The dirty white pigs were at Dollar Tree last year, I haven't seen them again... I have been looking! The pink pigs are banks and I found them at Target Dollar Spot. 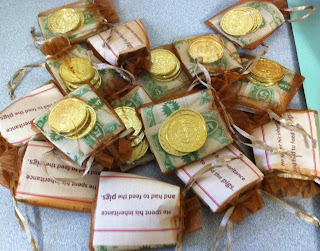 The money bags are really cheap on eBay, the coins are at Party City. 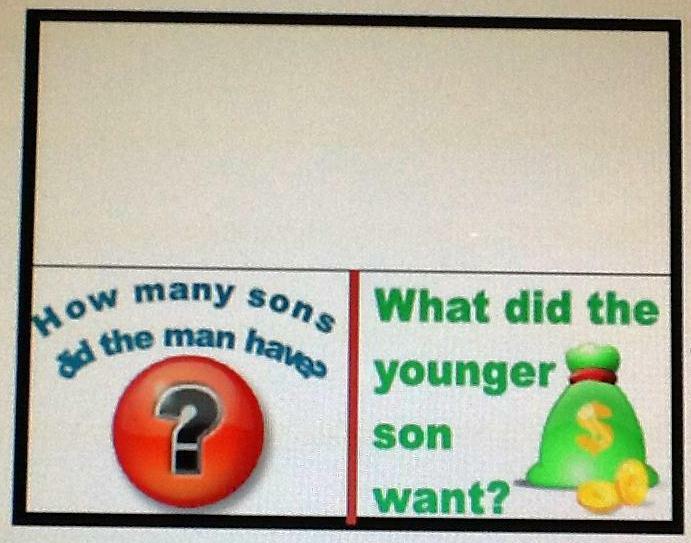 This is the printable for today's lesson. 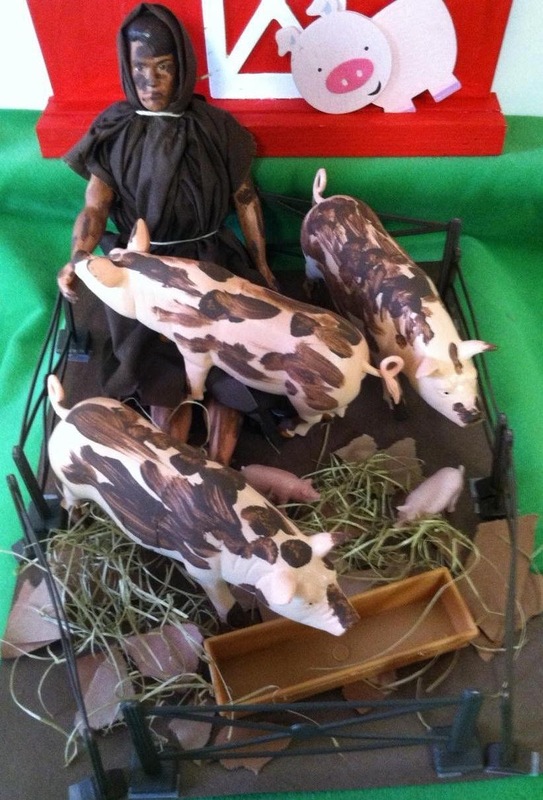 The students will cut out the son and the pigs and glue them onto the workbook page. You can print it here. Thanks for stopping by! You are welcome! Thanks for stopping by! I appreciate the comment. jUST WHAT I WAS LOOKING FOR ..THANKS FOR SHARING, BE BLESSED! Thanks so much for the comment! Glad you stopped by!